Can I register an account? Why? How? Yes you can! Registered accounts can comment without having to fill in the user/email boxes, and can also add images to favorites - allowing them to find them again easier. 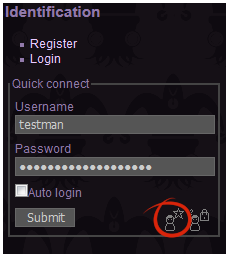 To register, head to the Main Page, scroll down, and hit the little Star icon in the "Identification" section. How do I change my account settings (images per page, etc)? From there you can change how many images you see per page, as well as set comments and hits to auto-display. I suggest keeping "Expand All Albums" off, though. The images are too small/too large! Note that there is also a scroll bar under particularly large images. Where's the tag master list? Check out the "Tag List" link in the "Handy Links" section on the Main Page. I see something mistagged/not tagged at all/etc! I tagged everything myself, so there is bound to be mistakes! You can reply to a specific picture with any errors, alternatively you can send me a message - if you're one of my Patrons, send it through Discord! If not, feel free to send me an email. 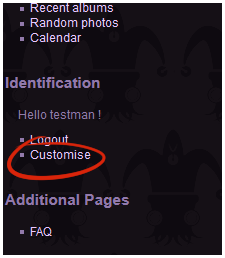 Check out the About/Info section on the Main Page - there's a little section for contact at the bottom of that!